Congresses - Landgasthof "Zum Mühlenteich"
The Landgasthof zum Mühlenteich in Eggersdorf is the ideal setting for your seminars, banquets, strategy days, exams or presentations. 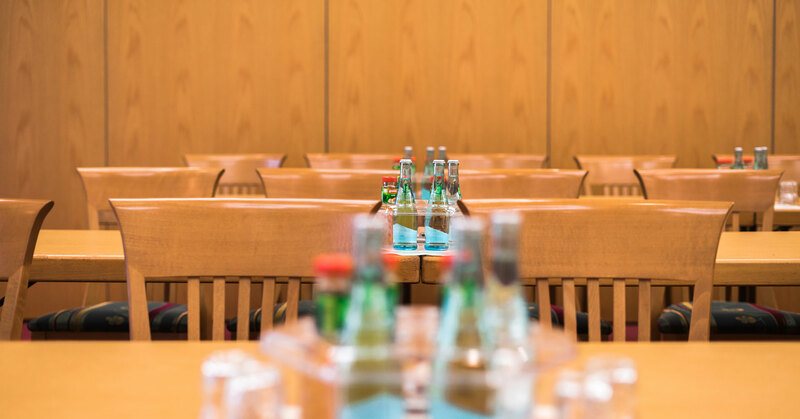 Strategically convenient – close to Berlin with good transport connections – good prospects for your conference! You will feel at home in 20 individually designed rooms, while attentive service organizes everything else for you. We offer the right setting for your event. In our light-flooded conference rooms, equipped with modern equipment, you meet undisturbed with your conference partners and team colleagues. Focus entirely on your goals, we will ensure a pleasant ambience and enable you to work creatively under ideal conditions. Technically we are excellently equipped. DSL WLAN can be used free of charge in all seminar rooms. You receive the most modern and reliable conference technology directly from us. Balance and teamwork units for team building are fun, strengthen confidence and bring new energy into the round. Your physical well-being will be taken care of. Drinks, snacks and coffee breaks give you strength to recharge your batteries and strengthen your self-motivation. The easily digestible and varied cuisine contributes to a successful conference. From May to September our garden invites you to a delicious barbecue. Many factors are decisive for the choice of the right venue: location, connection, premises, ambience, equipment, quality of catering, service, communication, advice and last but not least the price. The Landgasthof team knows what is important and offers an individual package that exactly fits your requirements. Seminars and conferences in the Landgasthof zum Mühlenteich – result-oriented work with pleasure. Relaxation and well-being factor as well as the feeling “Simple. Happy. Being” is guaranteed by the house!